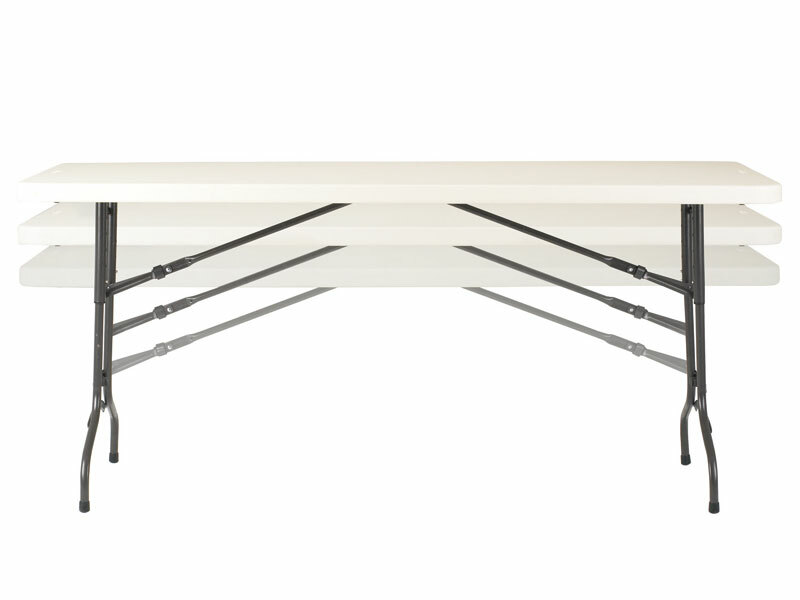 What is the purpose of the Polyfold Adjustable Height Table? 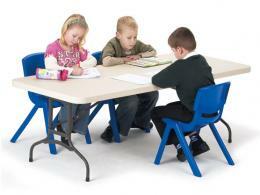 The Polyfold Adjustable Height Table can be used for many different purposes. Whether you need a table for work or play, you want something durable that you can use for many years to come. It can be used for an event or just if you need it for every day work reasons. Whether you need it for something to do with your business or at home, this table offers plenty of flexibility to make it right for you. One of the fantastic things about this product is that it can be used practically anywhere. We all need a table every now and then, and the Polyfold Adjustable Height Table can be used in many different ways and spaces depending on how you would use it. Whether you plan on using it in your home or at an office, the different sizes make it easy to choose one that would work for you. 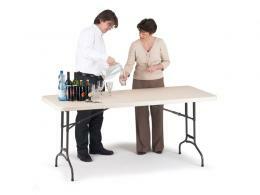 The Polyfold Adjustable Height Table can be used by almost anyone. It's lightweight and easy to carry around if you need to, so almost anyone should be able to transport it for whatever reason they need it. Those who both need it for work and for home can use it, so don't worry about if you can handle it while transporting it if necessary. It's easily height adjustable, making it perfect for whatever purpose you need it for. It comes in to models: the PTF41386: 610/ 650/ 690/ 770/ 810mm and the PTF41385: 640/ 690/ 740mm. It also has a hygienic wipe-clean moulded top and folds flat for easy storage. You can use it both indoors and outdoors. It comes with a wonderful beige top and a dark bronze frame. It also has a 5-year warranty.